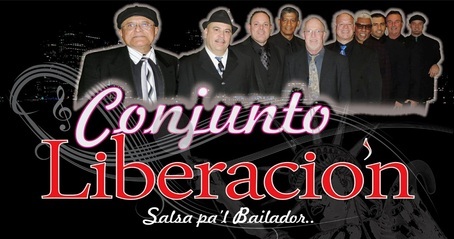 Conjunto Liberacion, is a 9 piece Salsa Band comprised of musicians of different ethnic backgrounds who grew up listening to and now enjoy playing salsa music. Conjunto Liberacion would love to share their passion and their music with dancers and listeners with the same interest & passion for this genre of music. Led by Hector Conde,(timbales) and Marco Valle, (congas) the group which consists of: Eddie Vidales (bass), Aggy Chukuma (piano), Leo Servin (vocals & percussion) Ness G. (vocals), and backed by the experienced horn section of Mike Breit (trumpet), Dave Metzger (trumpet), Steve Gonsoulin (trombone) & David Bowman (trombone).